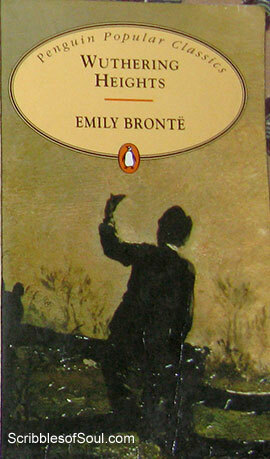 I was first acquainted with Emily Bronte’s Wuthering Heights during my Masters. One of my professors lavished high praises on this novel, ascribing it as an unwomanly writing of a brilliant 19th century woman writer. However, I was less than impressed with a writer, who herself considered her work to be so risque, that she had to put on a false identity of a man, and even then failed to pacify her critics. My prejudices stopped me from reading it and unknowingly I overlooked this gem of a book. However, recently I decided to pick it up and to try reading it unbiasedly. I am glad for my endeavor, as this novel is indeed special. Set in late Eighteenth century, when most of the writers delved on love and marriage as a holistic theme, Wuthering Heights lay bare the tyrannical nature of spurned human love and the selfish actions of men and women alike to fulfil their greed of money and love. The story revolves around the Earnshaw family and the adopted orphan Heathcliff, who falls in love with Catherine Earnshaw and avows revenge when Catherine marries Edgar Linton for money and luxury. Catherine’s mistake makes the lives of future generations miserable and makes the story a steady flow of tragedies and oppressed emotions. The novel begins with a great suspense, where we are introduced to Wuthering Heights and its strange inmates through the eyes of Mr. Lockwood, tenant of Thrushcross Grange. The heavy snowstorm forces Lockwood to spend a night in Wuthering Heights, where he faces the anger of its ruthless inmates and a chance encounter with a ghost. This incident leaves him breathless and he becomes adamant on knowing their history. He is aided in this discovery by Ellen Dean, the loyal housekeeper. From this moment, the story becomes even more intrigued and I was so engrossed in it that it became difficult to put down the book for even a minute. The book progresses on its intended path of tragedy and at times struck me as despondent and depressing, however, Emily Bronte managed to put in little surprises at the right time, fueling my desire to continue, despite the lengthy digresses. The novel excels in portrayal of all the wrong human emotions. The characters have an excess of anger, cynicism, jealousy and conceit, yet, as I continued with the story, I discovered, each of them to be hapless victims of ruthless circumstances and despite my best efforts, I could not restrain myself from sympathizing with them. Even, the fiendish Heathcliff exuded some soft emotions and as a result, I feverishly hoped for something good that may cure Wuthering Heights of its constant grimness and gross injustice. The novel evoked strong emotions and I found myself thoroughly absorbed in the book, despite slightly archaic language and would definitely recommend it as a must read classic. Though, I have one qualm. I read the second edition of this book complete with the lengthy Biographical notice and Introduction by Charlotte Bronte, placed at the very beginning and found it a bit tedious and tiring. It could have been put at the end, so that the reader may straightaway enjoy the story, instead of being subjected to long excuses regarding use of pseudonyms by Bronte sisters. Though, hopefully, it may be the case only with the second edition of this classic and the other editions may be found without it. I am more than satisfied with the first Bronte Sister and soon planning to read the work of the second one: Jane Eyre by Charlotte Bronte.